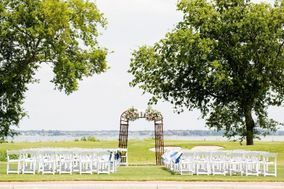 Hampton Roads wedding venues include everything from beaches and barns to downtown hotspots located in the region’s major cities. 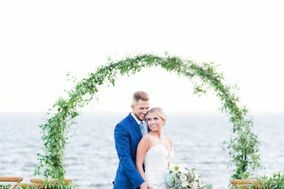 Southeast Virginia is the merging point for three rivers, the Chesapeake Bay, and the Atlantic Ocean, making these Hampton Roads wedding venues ideal options for any couple considering a waterfront celebration. 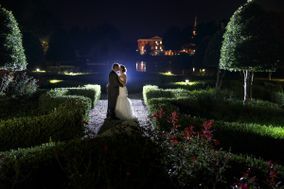 Hampton Roads has been a wedding planner's best kept secret for years. 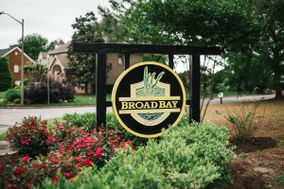 Also known as the Seven Cities, Hampton Roads is made up of Norfolk, Virginia Beach, Portsmouth, Newport News, Hampton, Chesapeake and Suffolk. The cities combine to make one of Virginia's largest and most diverse metro areas. 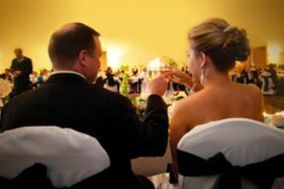 Couples planning weddings in the area will delight in the equally varied wedding venue options. 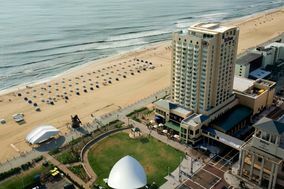 The Hampton Roads region sits on the Chesapeake Bay and the Atlantic Ocean, making waterfront wedding venues quite popular. 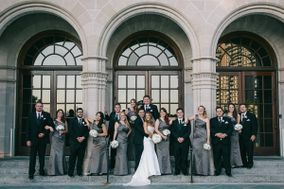 Tie the knot at sunset on the docks of a yacht club before returning to a sparkling ballroom for dinner and dancing. 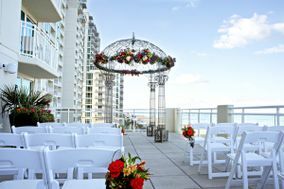 If you're hoping for a barefoot ceremony, weddings on the beach are also scenic and romantic. 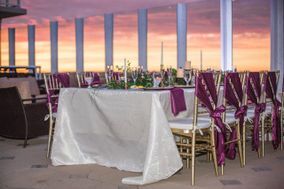 Hampton Roads even features a number of indoor wedding venues that take advantage of the coastal views with floor-to-ceiling windows that bring the outdoors in. 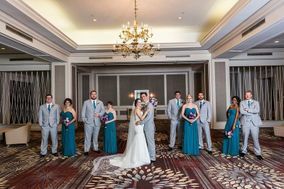 Couples hoping to embrace the area's rich history on their wedding day are in luck. Red-brick churches dating back to colonial times can be found all over the Hampton Roads region. 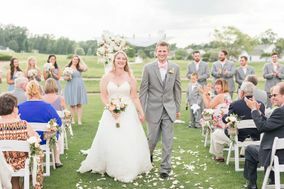 Elegant estates also harken back to olden times, with live oaks decorated with white lights towering over antique arches under which to exchange vows. 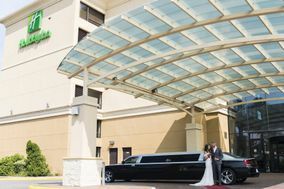 Weddings in Hampton Roads cost about $30,000 on average. 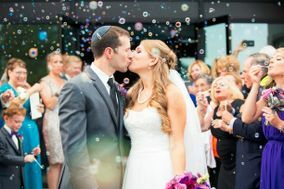 Of course, the sky is the limit in this area, with luxury resorts and high-end wedding packages available for couples with a more liberal budget. 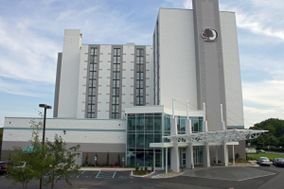 Wedding guests will find the area generally affordable, with an average night's hotel stay costing between $125 and $150. 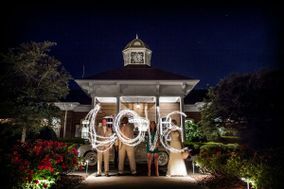 Beyond Hampton Roads, more rural communities like Poquoson and Williamsburg offer even more enticing wedding venues. 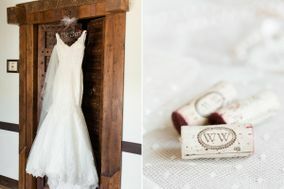 Rustic wedding venues on local farms and in barns are trendier than ever. 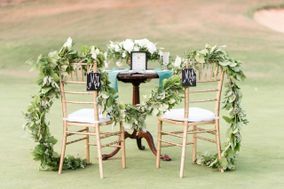 Relaxed ceremonies at such venues feel intimate and warm, with your friends and family exchanging stories over bonfires and champagne. 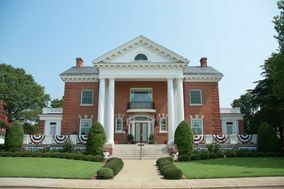 Plantation wedding venues in the area add a sense of elegance to the country atmosphere. 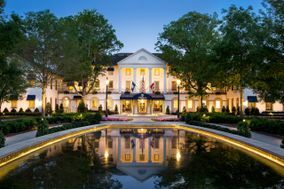 With romantic balconies overlooking acres of sprawling lawn, you'll channel the romance of Scarlett O'Hara and Rhett Butler on your wedding day. 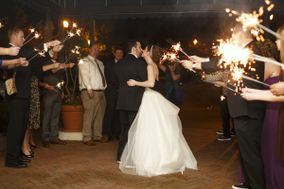 Hampton Roads sees relatively mild weather year-round, making the area ideal for weddings any time. 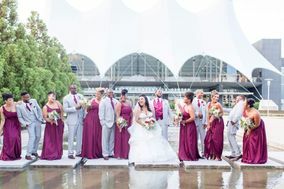 The spring and early summer are the most popular time for weddings there, with temperatures hovering in the mid-70s until late June. 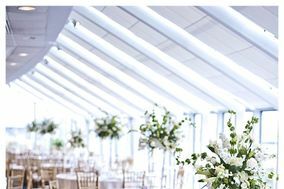 Cool breezes off the bay provide all the air conditioning needed for a summer wedding, but those worried about afternoon thunderstorms should consider a venue with an indoor alternative in case of rain. 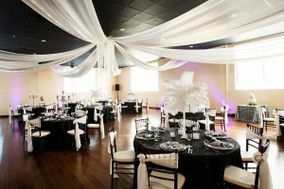 Settled on your dream Hampton Roads wedding venue? 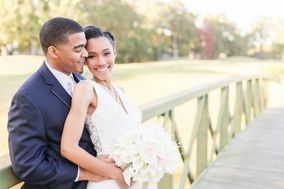 Now it's time to click over toWeddingWire's useful planning tools, where you can create your personalized wedding website, track your spending and chat with vendors.